This was spotted at SEMA and I want to find out more. AWD, open-wheel hot rod running slicks!? What's under the hood (something V8 I count)? What transaxle is that? Anybody have details on this build? 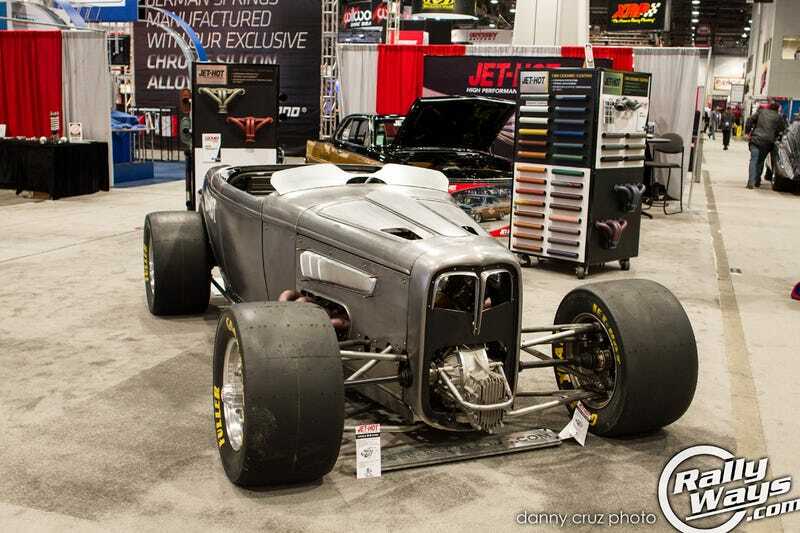 (From RallyWays SEMA Day 1 coverage).